For years, the Vestry of Saint Martin’s has been exploring possibilities for our future. After considerable work we decided in May 2015 to address our current needs and plan for the future. Saint Martin’s Episcopal Church embarked on an exciting fundraising effort to raise $150,000 in pledges over five years. We raised close to $250,000. thanks to the graciousness and generosity of our people. Planting for Tomorrow – Growing in Faith Today will provide us with the resources to strengthen and expand our positive presence in Chagrin Falls and contribute to the new Camp and Retreat Center in Wakeman, Ohio. This campaign has ben our effort to improve ministry with our Diocese and participate in outreach ministry. This campaign success will be used to repay the debt that we have been addressing for the last several years. When we rebuilt the church, we had the opportunity to waterproof the building to prevent future water damage. However, in order to do that we had to take out a loan of $750,000. Through this campaign we will repay the remaining $83,000 to eliminate the debt. Funds set aside for property enhancement will help us to address the needs of our parish building going forward. This could include projects such as repairing the walkway, adding insulation, or landscaping. The vestry has agreed to address these needs now and avoid deferring maintenance which could result in more significant building problems. Funds raised above our goal of $150,000 will be committed to fulfilling the four areas identified in our strategic plan: congregational development, parish life, stewardship, and outreach. As a faithful member of the Saint Martin’s Episcopal Church community, your support of this campaign has been vital to our success. Now we have an opportunity to shape the future of our diocese while addressing our own need. By joining in this campaign, you have demonstrated your continued commitment to our parish and the Episcopal Church in Ohio. You are helping to strengthen our faithful community as we strengthen our church, together. The future of the Church, not only at Saint Martin’s but in all of Northern Ohio, depends upon ministry. We have the chance to be a leader in faith formation and evangelization in our community, our diocese, and beyond. In this endeavor 30% of what we raised will go towards the Camp and Retreat Ministry. Working as a diocese we will chart a course that recognizes camp ministry as one of the primary experiences that commits youth to our church. the site does not generate adequate potable water, which requires us to truck in the necessary supply. In October 2015, Bishop Hollingsworth reported to the clergy that the property of Cedar Hills had been sold to a nearby property owner. In order for future generations to enjoy and grow from camp and retreat experiences, our diocese will build a new multifaceted facility that will serve as a camp, conference center, and sustainable farm. The Importance of Camp and Retreat Ministry Camp and Retreat ministry is proven to be one of the most effective ways to share our faith. As adults, retreats give us the opportunity to recommit ourselves to spiritual development. 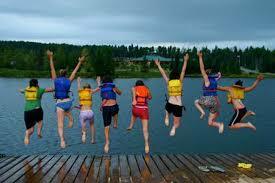 For youth, camp is a unique opportunity to build self-confidence, improve leadership skills, and grow spiritually. In a study conducted by the Lilly Endowment, many church clergy and lay leaders share a common characteristic: a positive religious camp experience. The importance of Camp and Retreat Ministry cannot be understated, as we are all able to appreciate God at work outside of the traditional church setting. Programs that support and enhance parish ministries. Private rooms for adult retreatants.